I may be, embarrassingly, pretty much a walking Zara mannequin today. But I wanted to show you some of my sale beauties I picked up recently. I wanted a pair of camel culottes for a while, and having had my eye on the Zara Studio knitted pair that came and went in the sale, I decided to snap these up when I found them in my local Zara. I liked the tailored feel to them, giving them a bit of an androgynous feel. Some people don't seem to quite get the culotte trend, and they may not be for everyone, but one thing is for sure; they are comfy. When I changed from a pair to jeans recently, my ankles just felt far too restricted. So culottes are definitely my favourite thing right now. 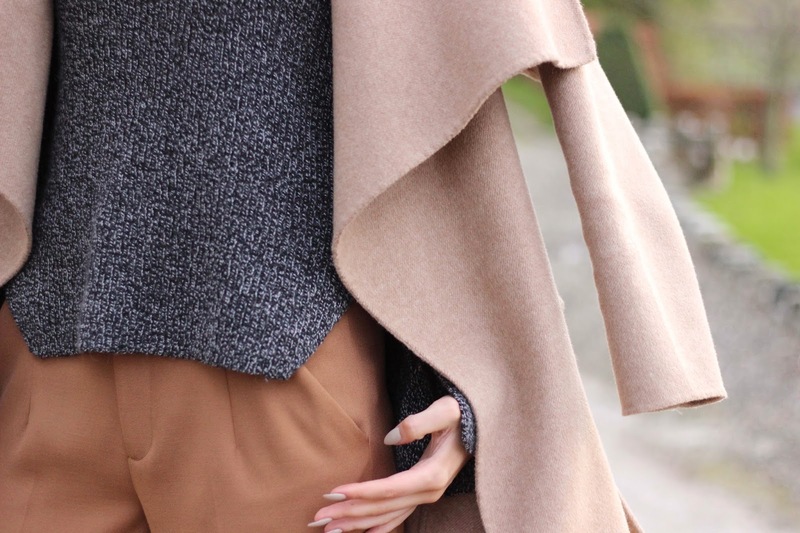 I wanted to keep it simple and neutral with this outfit, throwing on my trusty Zara coat for a bit of winter layering. I have definitely come to find that less really is more sometimes. Love the colours of this outfit !